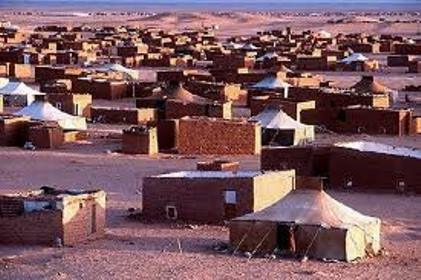 Accusations against the Poliario regarding the embezzlement of humanitarian aid sent to the population surviving in the Tindouf camps gain increasingly more steam. After some experts on the Sahara and several NGOs have reported over the last few months that the Polisario misappropriates the aid sent to this population, the US-based NGO Teach the Children International exposed, on Friday in Geneva, the embezzlement by the Polisario leadership of the aforementioned humanitarian aid. Speaking at a conference on the sidelines of the 17th session of the UN Human Rights Council, representatives of the US NGO, Nancy Huff and Dona Elizabeth Sams, laid bare the embezzlement by the Polisario leadership of the aid that was supposed to reach the population in the camps, the Maghreb Arab Press news agency reported. They gave strong evidence of the corruption of the Polisario, saying that dozens of containers loaded with foodstuff, medicines and wheelchairs were dispatched from the US towards the camps, but when they went to check, they found that the aid was misappropriated by the separatist movement and sent somewhere else. “We wanted to take pictures of this aid so as to show them to the donors to prove that the aid arrived to its destination, but we were disappointed to realize that a very small part, and sometimes nothing, reached the populations,” Dona Sams deplored. “The Polisario prevents us from directly distributing this aid to the population” said the NGO’s representatives, adding that, “to avoid a census of the beneficiaries, the Polisario prevented them from distributing by themselves presents to Sahrawi children”. The NGO’s representatives said that in the face of this situation, Teach the Children International decided to halt sending aid to the camps so as not to support corrupt practices. They also deplored that the population in the camps continue to endure inhuman treatment deprived of their basic living conditions.